As I've been harping on about for the last 18 months, Juventus are cash cows. And on their current winning streak I'm just going to have to continue betting them until they give me reason not to. Now last weekend we had to get creative because they were such a large favorites at home to Sassuolo. The two approaches I thought would be profitable were Juventus double result (-150) and Juventus to win and keep a clean sheet (-138) which I suggested in my column. Since they won by a touchdown on Super Sunday it turns out that they made you money no matter what you did. This Friday they visit Florence and play mid-table Fiorentina. Now presumably they've been given a Friday game because of their midweek Champions League match which works well for me. I will tell you why in a minute. In any case, with the line being what it is I do not require my creativity. I just have to click on the Italian Giants. Win or lose, they play itself is a no brainer. And if Juventus win on Friday that will temporarily put them in first place. How will Napoli respond? I'm a little torn on this one. 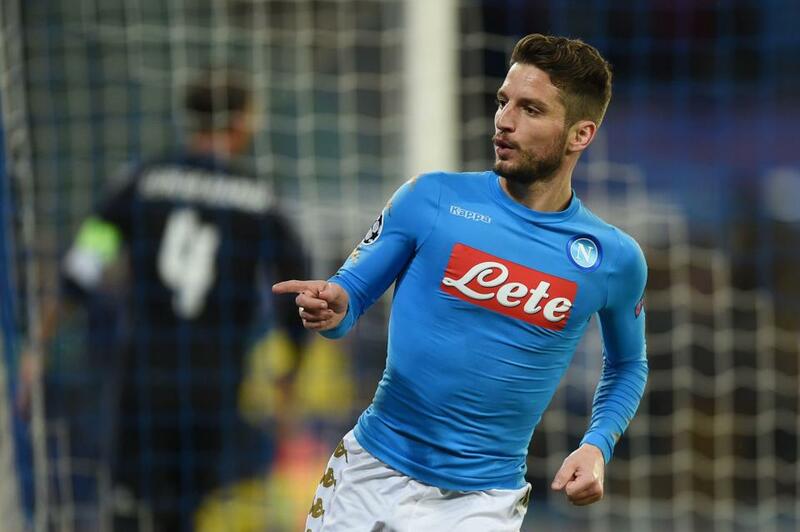 IF Juventus win, does Napoli fail to get a win a home over Lazio, whom they have beaten 4 of the last 5 occasions? It wouldn't be a huge shock as Lazio have Italy's third best away record. Here's how I approach it, and by all means I am not the perfect handicapper. I will be placing a 2 unit wager on Juventus Friday. IF the Old Lady fails to win I then anticipate a big Napoli performance as they seize the chance to increase their slim lead and bet them 1 unit at least. If Juventus win, I already have 2 units in my pocket for the weekend and will then put a smaller half unit play on Napoli. Spurs clawed back to get a point from Anfield. Though controversial, Tottenham showed some fight, which is what they did not show in the first meeting between these two bitter rivals. It was basically a no show by Tottenham who looked bad and Arsenal easily cruised to a 2-0 win at home. But this is a much different Arsenal side. Gone are Alexis Sanchez and Olivier Giroud and in their places are Henrik Mkhitaryan and Pierre-Emerick Aubameyang. So there will definitely be a feeling out process for Spurs, after they watch the footage of Arsenal smoking Everton last weekend. Tempted to say Spurs get revenge but ultimately I think this winds up as a draw. Spurs are in the middle of a brutal schedule which includes a midweek Champions League trip to Italy. Arsenal with a new pep in their step after the departure of Alexis, may be poised for a run of good form. Tie is fair and a really good price. Both these teams are bad. Now if you wish to take the chance that Everton win a game they should at home and are getting 5/4 I will only advise to tread carefully as they are 1-3-4 in their last games and in some instances go 90 minutes without even registering a shot on target. Crystal Palace's Wilfried Zaha is out for a month which now limits what this Eagles team can accomplish going forward as he was their true gamebreaker. They've failed to score in 62% of their Premier League away games, in part due to his absence to injury this season. This game could go 0-0 but there is another way to skin this cat in case Everton decide to score a goal.